Nearly everyone with an ounce of movie culture calls Disturbia a Rear Window remake when talking about the 2007 surprise hit film, despite the fact that it isn’t, at least officially. Now, more than a year later, Sheldon Abend Revocable Trust, the owners of Murder From A Fixed Viewpoint (the Cornell Woolrich short story that served as the basis for Alfred Hitchcock’s classic film) have taken notice and are finally suing Universal Pictures and DreamWorks for copyright infringement. While Disturbia is a good movie, all I can say is, it’s about time! 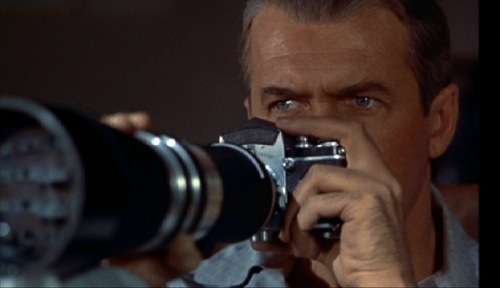 This entry was posted in American Films and tagged Alfred Hitchcock, Cornell Woolrich, Disturbia, DreamWorks, Murder From A Fixed Viewpoint, Rear Window, Sheldon Abend Revocable Trust, Universal Pictures by Mr Hollywood. Bookmark the permalink. “Poltergeist” (1982) produced by Steven Spielberg was actually taken from a Richard Matheson story written for The Twilight Zone television series and broadcast 3/16/62 on CBS; the episode titled “Little Girl Lost” about a child who falls through a portal in her bedroom wall and into another dimension. Her father with a rope tied around his waist enters the closing portal and successfully pulls her back out in the nick of time. The show starred Tracy Stratford, Sarah Marshall and Robert Sampson. Spielberg claimed sole authorship of the story and co-writing credit for the screenplay.